A great gift idea for the camping enthusiast. Next time you go camping you’ll be glad you wrote down the where and how of your previous experiences especially if you return to a previous site. Not only can you remember the important information like best campsites, reservation policies and other things, but also people you met and other precious memories. A great gift idea for the camping enthusiast. Next time you go camping you’ll be glad you wrote down the where and how of your previous experiences especially if you return to a previous site. Not only can you remember the important information like best campsites, reservation policies and other things, but also people you met and other precious memories. 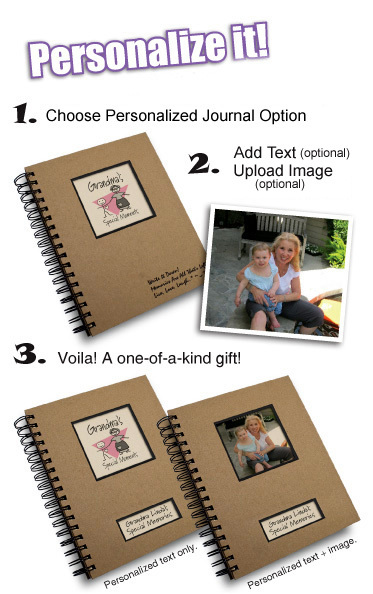 Personalize the Camping – The Camper’s Journal with text and/or a picture.